The Civil Process Division works with the court system to facilitate the timely, effective service of process. These Deputies also coordinate enforcement process with requesting parties and or attorneys. They also serve all process while maintaining an impartial position between all parties involved. Beginning January 1st, 2019 the Sheriff's Office will update our mileage fees to the attached rates. The updated "Mileage Fee" schedule for all civil process applies the current allowable mileage rate of 58 cents per mile, established December 2018 by the IRS. With these changes, we hope to become more efficient and recuperate all costs associated with civil process. We anticipate a grace period of 30 days in which we will except the old fees and bill accordingly. After that, all appropriate fees must accompany notices at time of receipt. We will only attempt out of county notices one time, which is the amount of fees collected, and Cass County court requests as many as three times, with additional trips charged back to the court of origin. Additionally, in accordance with 57.280(1) RSMo, we will require a $350 cost deposit plus service fee on all general executions of real or personal property. We will not attempt service until we have received the required deposit. This deposit may be in the form of a cashier's check, money order, a check from a Circuit Clerk's Office, or law firm check. We do not accept personal checks. Thank you for your patience and assistance in this matter. *The $30 service fee applies to each complete Service Packet, for each defendant, PLUS mileage. (i.e., Unlawful Detainer $30, Posting $30, and Mailing $30, per person). If there are multiple Service Packets to be served at the same address, the mileage fee will only apply one time. "The Sheriff shall receive a deposit based upon the likely amount of such charge." All of such charges shall be received by the Sheriff who is requested to perform the service. 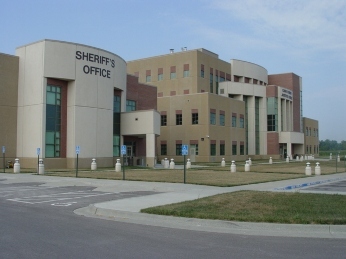 Except as otherwise provided by law, all charges made pursuant to section 57.280, RSMo, shall be collected by the court clerk as court costs and are payable prior to the time the service is rendered; provided that if the amount of such charge cannot be readily determined, then the Sheriff shall receive a deposit based upon the likely amount of such charge, and the balance of such charge shall be payable immediately upon ascertainment of the proper amount of such charge. A Sheriff may refuse to perform any service in any action or proceeding, other than when court costs are waived as provided by law, until the charge provided by this section is paid.